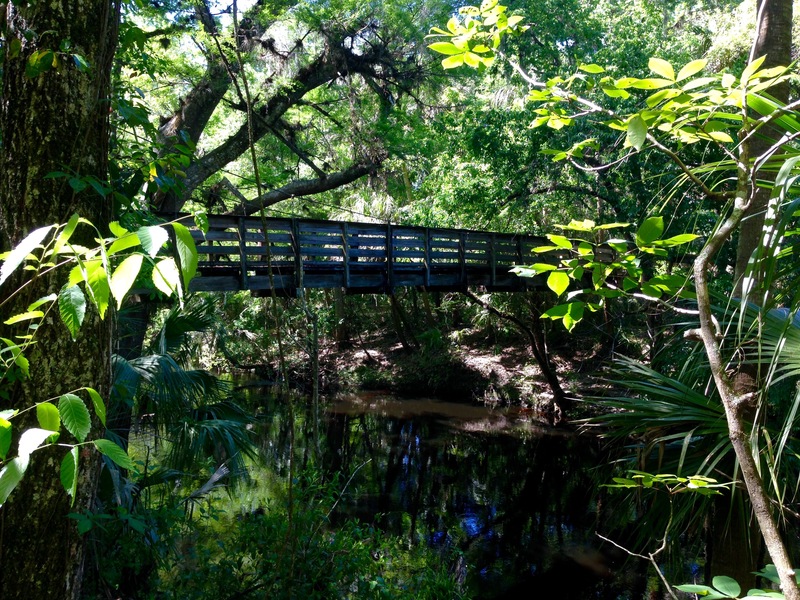 Just northeast of Tampa is one of the oldest parks in Florida: Hillsborough River State Park. I stopped in to check the place out and camp for one night. It is an absolutely beautiful park. 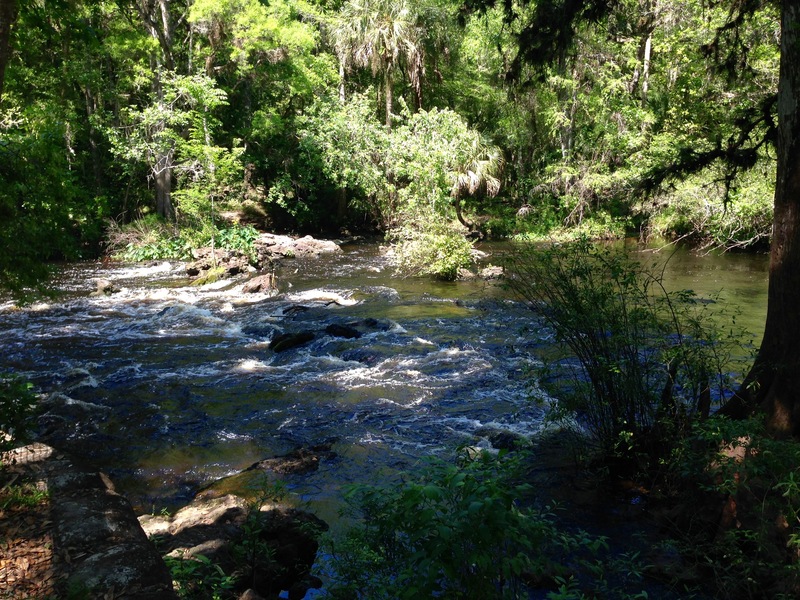 I hiked the Nature Trail the day I arrived, which follows the Hillsborough River for much of the way. They claim the rapids is a Class II, but that may be an exaggeration. It looked like ripples to me, but there was a bit of splashing going on. Still, the hike along the river bank is thick with both flora and fauna. The next morning I ventured across the river and hiked the longer Florida Trail. An equally beautiful trail, but thick, thick, thick vegetation. I saw quite a few deer in the morning, and alligators were said to be present, but I saw no sign of one. A wonderful hike, regardless. I’m glad I had hit the trail early, by the last mile, I was getting pretty warm, as the temperature and humidity rose. This entry was posted on Saturday, April 9th, 2016 at 1:37 PM	and tagged with camping, driving, florida, photo, wildlife and posted in travel. You can follow any responses to this entry through the RSS 2.0 feed.